New tools are helping colleges and universities tackle the accessibility of instructor-created content, student coursework, note-taking and more. Although most universities have just about mastered website accessibility, their efforts to make sure all course content can be accessed and used by students with disabilities have proved more challenging. "We have been fighting this uphill battle of content accessibility for years, and we have been fighting it without knowing what is actually out there," said Jeremy Olguin, accessible technology manager at California State University, Chico. "If you can't inventory, you can't manage." 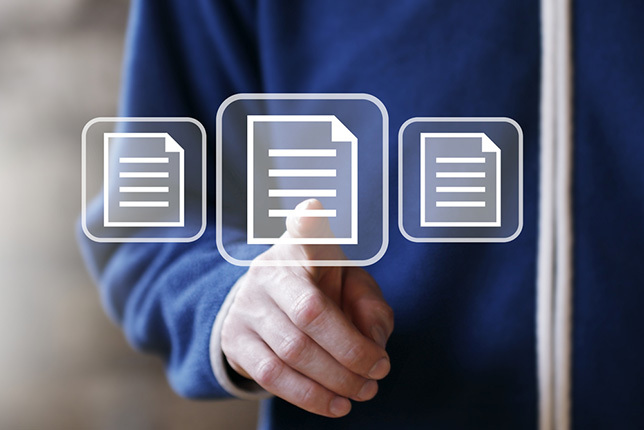 But new tools are providing more transparency into classroom document accessibility and automating some steps in making more accessible alternatives available. For the past year, Chico State has been piloting Blackboard Ally, a program that automatically runs all course materials through a checklist of common accessibility issues. Ally, which works with several learning management systems, then generates a range of more accessible alternatives for the instructor's original and will make these available to all students in the course. 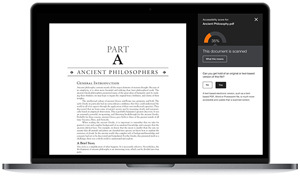 These alternative accessible formats include Semantic HTML, audio, ePub and electronic braille. "The faculty members love that, because they don't have to take an extra step," Olquin said. The deployment gives the Office of Accessible Technology and Services a campuswide view of accessibility issues. "We can look at departments or drill down to the class or the faculty member who may need help," Olquin said. There are still times when Ally can't fix the problem with a document or when a course involves video content, so Chico has set up a support structure to help faculty members. "We assign instructors to a student assistant in our office who is their point of contact for anything they need," Olquin said. "We enter a support ticket for open communication and we will inventory your whole class for you. We tell them: 'These seven items need further attention that your student assistant will work on, and these 15 items, which are mostly tagging images and giving them descriptions, we would like you to do and we will show you how to do that.' That model has really worked well for us." Olquin said the Ally pilot has involved 50 faculty members and 150 classes so far and is now ready to expand to the rest of campus. "We are already scaling it really well," he said. "We will ramp up to 200 classes and see how we do. Everything is on schedule for full release for fall 2018." CSU has purchased a systemwide site license for Ally, so all 23 campuses will be rolling it out over the next several years. Chico and Cal State East Bay were the first two to go live. Chico State also worked with software company Kaltura to inventory all video course content and set up a workflow to caption all of it. First, the video is sent into the Kaltura cloud, where it is auto-captioned using integrated transcription service cielo24. Then it goes to captioners at CSU who fix up those auto-captions and push it right back into the LMS. "The faculty member would never know that it left their course," Olquin said. "It all happens on the back end." While many campuses are making progress with the accessibility of instructor-created content, Wichita State University (KS) is going a step further by tackling student-created content too. In July 2016, WSU entered into an agreement with the National Federation of the Blind requiring that all content "created or used by a WSU department or professor in connection with any WSU course offering" be accessible by 2020. As they began to work on the implementation of that agreement, WSU accessibility officials realized "all content" includes student-generated content used for in-class presentations, including speeches, PowerPoints, videos and training sessions. "If students are evaluating each other's speeches, those speeches need to be captioned," explained Carolyn Speer, WSU's manager of instructional design and access. "As we thought about content created for the student experience, we realized that we need to be working on making that content accessible." Speer added that this effort should help students in their presentations beyond higher education. "They are going to need to be able to create content in an accessible manner going forward no matter what industry they are in," she said. "We can train them for future applications elsewhere." WSU is starting with an on-demand, online training course for faculty, staff and students, and developing a digital credential for students for completing that training. (The university already has a digital badge program with Credly.) For example, in his or her sophomore year, a student could get training on how to give an accessible speech in a face-to-face classroom, Speer said. "Now I am a junior, about to give a speech, and the instructor says I need this training first. I can show the credential to demonstrate that I have already received the training." WSU is a real pioneer in terms of figuring out how to make student-created content accessible, but other universities are thinking about it. "When I speak to people who have my job at other schools, they say they know they are going to have to deal with this," Speer said. Chico State, for example, is beginning to offer students their own online space to create a web presence or e-portfolio — and accessibility is part of that equation, said Olquin. "We are scanning those with Ally to help them understand the accessibility levels of their materials and to start that conversation about beginning an effort toward student training." In another effort aimed at classroom accessibility, Northwestern University (IL) has found some technology solutions to assist with student note-taking. The institution traditionally paid students to take notes for peers whose disabilities make note-taking difficult, but it was having difficulty finding enough matches between requesters and student note-takers, even though it offered $100 per quarter per class. Last year James Stackowiak, director of assistive technology, led the pilot of two technology options: the LiveScribe Echo Smartpen and the Sonocent Audio Notetaker. 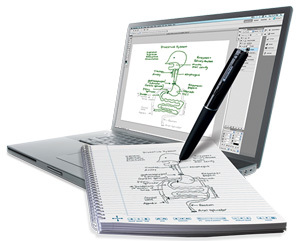 "With the Smartpen, students can go back and tap on notes they had written and it takes them right to that point in the recorded lecture," Stackowiak said. "We interviewed students and got overwhelming feedback that they used to be anxious that they were going to miss something," he said. "Now they can pay better attention because they know they don't have to write down everything that they are hearing. They have a way to go back to those things. It allows them to focus more in class and be more present." The Audio Notetaker allows students to color-code segments of audio, added Stackowiak. If a student with ADHD knows he is not paying good attention to a segment of a lecture, he can pick a color that reminds him to go back and listen to that section. Stackowiak said accessible course content is becoming a larger area of focus at Northwestern. "We have been focusing, as everyone has, on website accessibility — and the next wave here is going to be course accessibility. From what I have seen of Blackboard Ally, the ability to flag content and walk instructors through how to fix it is going to make a lot more headway than we would be able to through training."